Thank you, everyone, for being so enthusiastic about this pattern! It has been really exciting to watch peoples entries pile in over the last few weeks. I've especially enjoyed being surprised by people's creativity - whether it be expressed through pretty unique modelling techniques or through pattern manipulation or fabric choice. 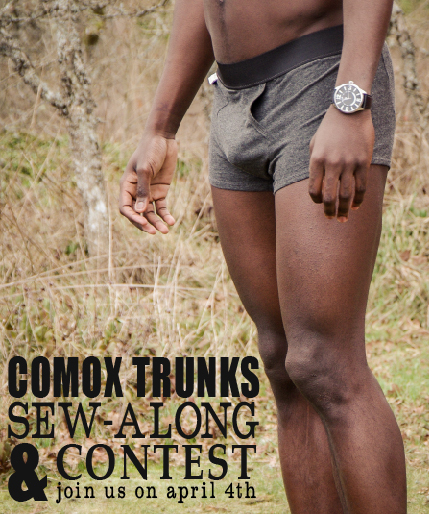 I hope to see lots more Comox Trunks in the future! Even though the contest is over, I'd still love to see what you've sewn, so send us an email (info@threadtheory.ca) or post a link in the comments! Haha I love your hubby’s comment about Canadian men being “S-shaped” – Matt and I had a good giggle over that :D. I like the alteration that you made to the front to suit your husband! Congratulations catrinmanel! Loved seeing all the different versions, and will be making many many more using this inspiration. Congrats Catrinmanel :) !!! And what an amazing trunks parade ;) !!! Thank you so much! Dead excited to go and make more now… And my husband (who was very skeptical about my trunk making) has told me he wants another pair!! Oh good, I’m glad he’s wanting more :). 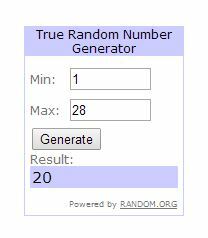 Congratulations on winning! Can you send me your shipping address via email (info@threadtheory.ca)? I’ll send you your prize first thing tomorrow – exciting!